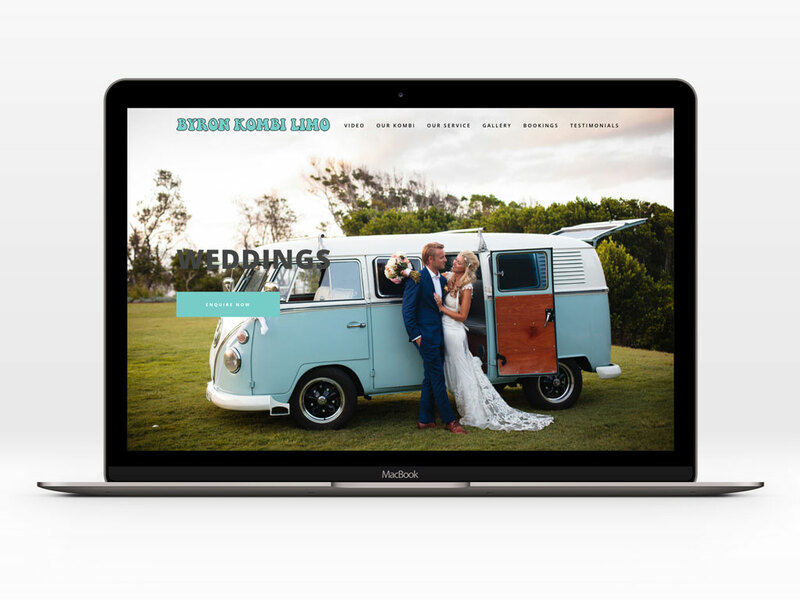 Byron Kombi Limo offers the most stylish transport for Weddings, Formals, Birthdays or Photoshoots, in their classic restored vintage Kombi. We loved working on this website with Mossy, the images he provided were superb. He was after something that captured the classic Kombi vibe and he gave us a groovy logo he’d designed himself to base our design elements around.